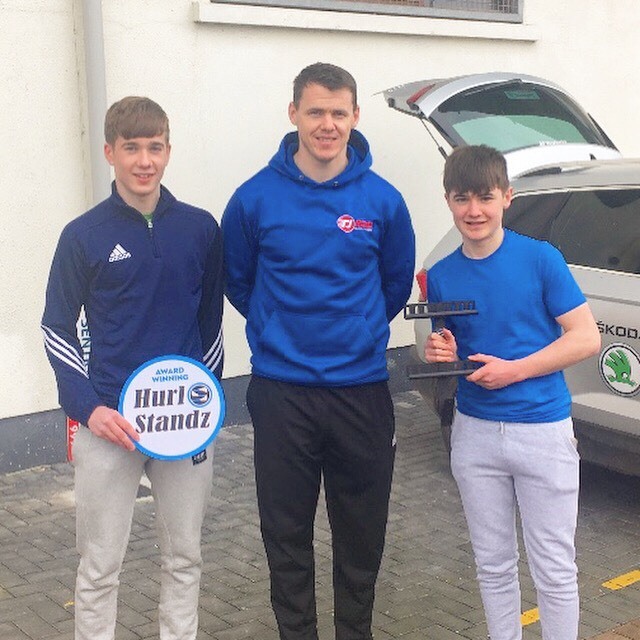 Three young entrepreneurs are hoping the people of Laois will get behind them and their product ahead of the upcoming All-Ireland Student Enterprise Final in May. 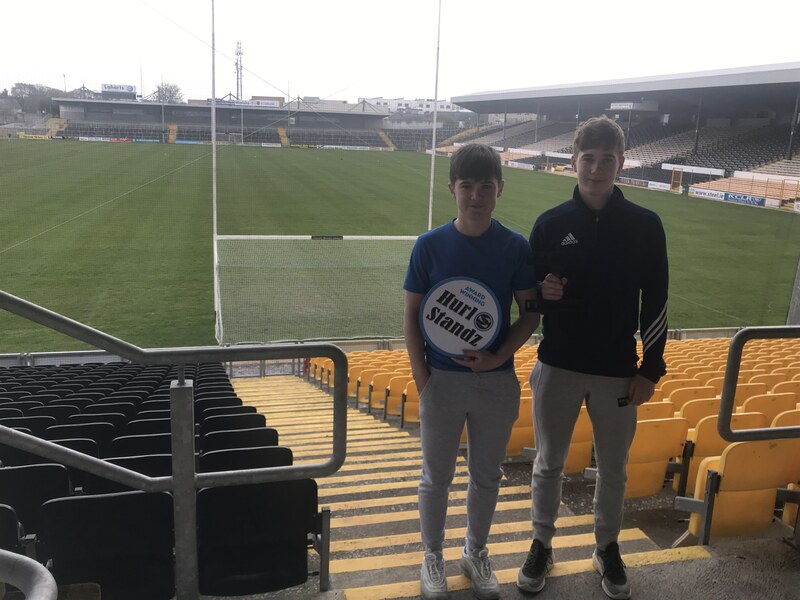 Portlaoise CBS students Marc Ramsbottom, Simon Fingleton and Noah Fingleton will head to Croke Park at the start of May to compete for an All-Ireland title. 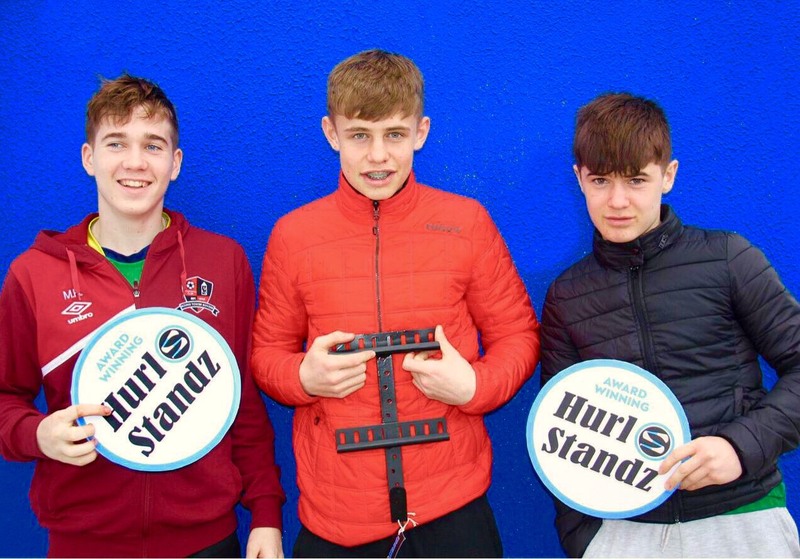 The Transition Year students, who all hail from Ratheniska, came out on top at the Laois finals in the Midlands Park Hotel at the end of March. 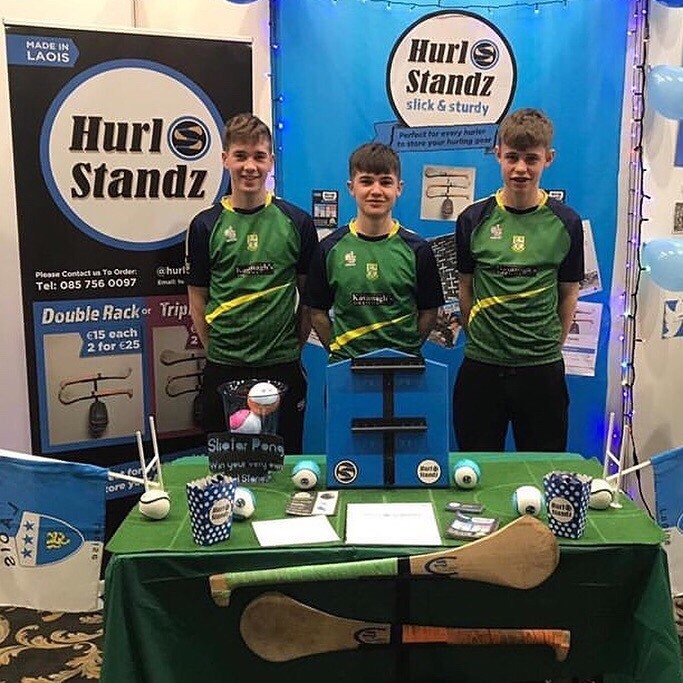 The lad’s TY Mini Company is called ‘Hurl Standz’ and it is an innovative concept that wowed the judges in Laois. 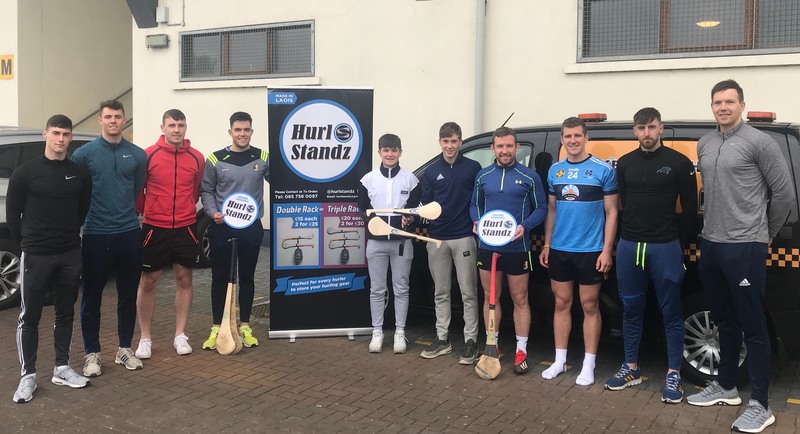 Hurl Standz is essentially a wall rack that comes in single or double size and allows hurlers to store their equipment in a smaller space than would normally be the case. They are light, portable and wall-mounted as as well as storing hurls, they can hold helmets and boot bags also. And such has been the success of the product, that a number of websites have been in touch with the lads looking to sell the product on their sites. Since the trio claimed victory they have received plenty of attention and have been invited to show their product to the Laois and Kilkenny senior hurling teams. As for who came up wit the idea in the first place, the lads say it was something that they all came to together. 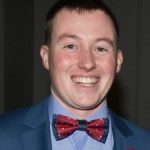 Noah Fingleton said: “The three of us play hurling for Park-Ratheniska and we just thought that when we weren’t using our hurls, they were just lying in corners or thrown around. 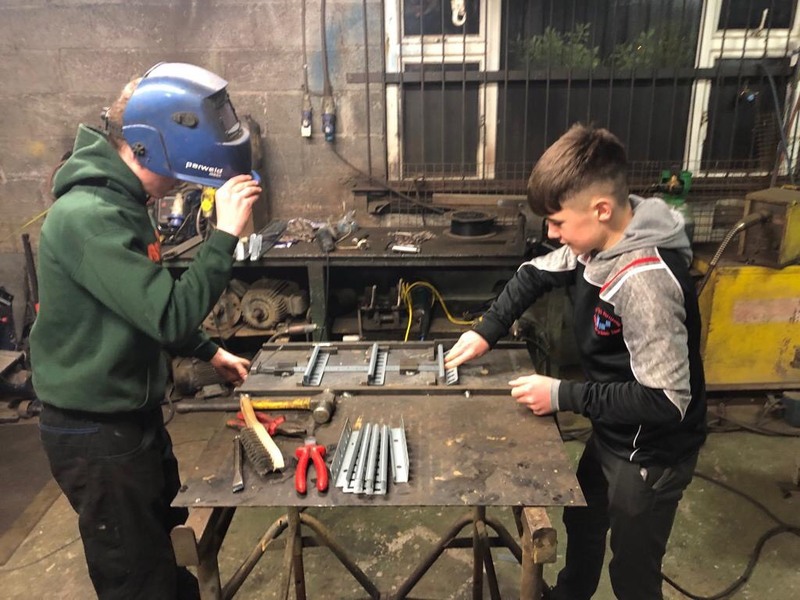 The lads set up their work studio in Marc Ramsbottom’s house and, under the guidance of his dad John, they have each learned how to weld the pieces together to make the finished product. The trio have set up social media accounts on Facebook and Twitter to promote their product and they have also received plenty of support from local businesses. 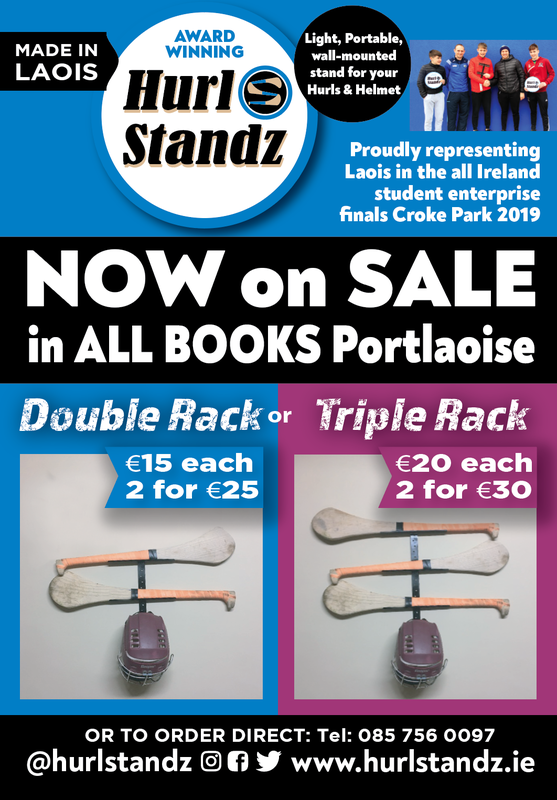 Simon Fingleton said: “All Books in Portlaoise have allowed us to sell our product in their shop while Cuddy Hurleys also sponsored us too with hurls for our stall. “We have been in touch with Colgon’s too and we are hoping to set up a stall in there too. 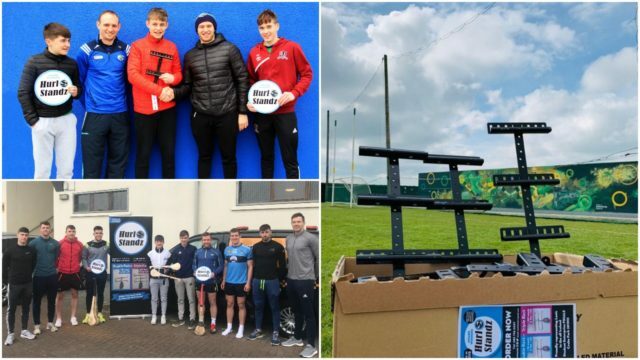 The lads have received fantastic support from Portlaoise CBS also and in particular two of the teachers – Ms Emma Lynch and Ms Deirdre Moore. Ms Moore explained how judges at the national final will be assessing the lads in a number of different areas. 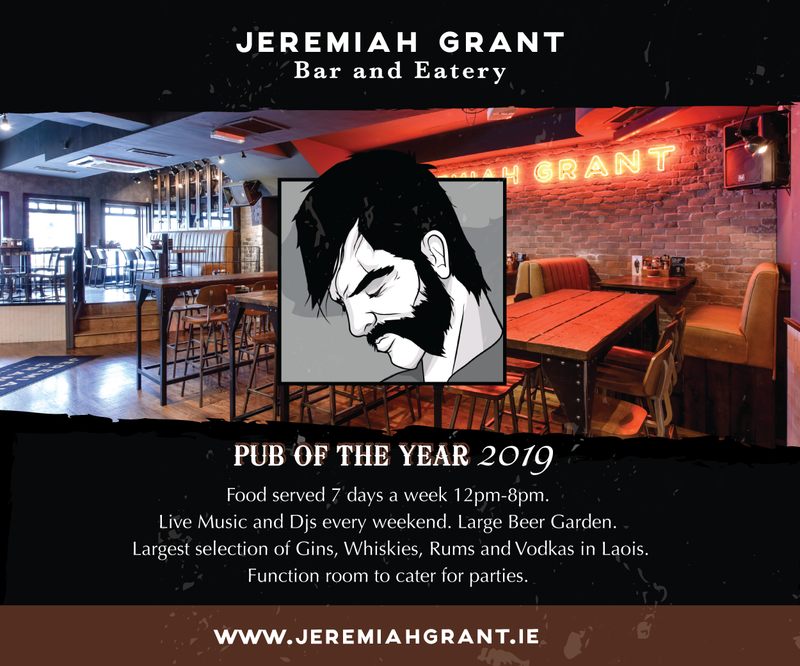 She said: “The business plan, innovation, the product itself, the market and customer service are some of the areas that the lads will be marked on. 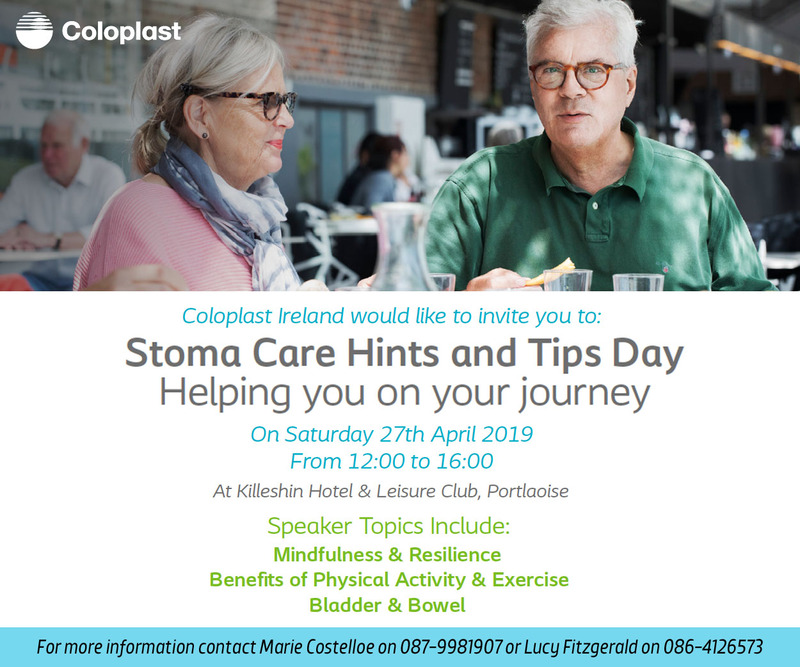 “The stand in Croke Park on the day is a big thing too and then they will also be interviewed about their product by the judges. 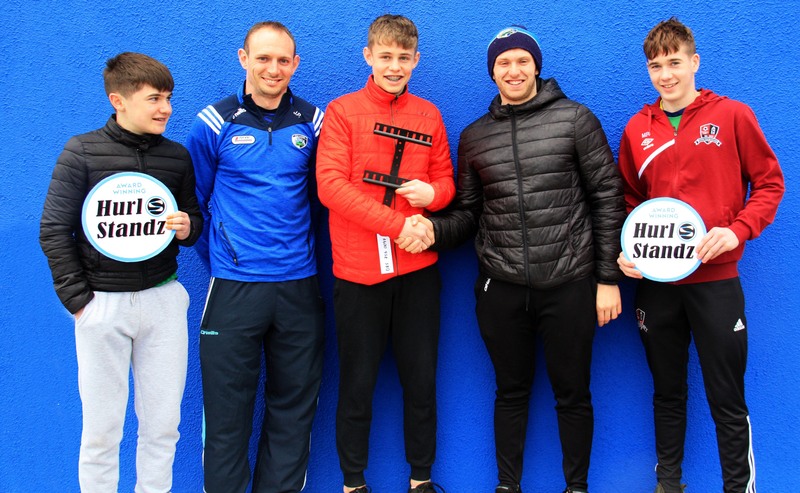 “The hurling season is only starting and the lads are hoping to go to different Easter Camps. Ballinakill and Camross are two of the places they hope to be. 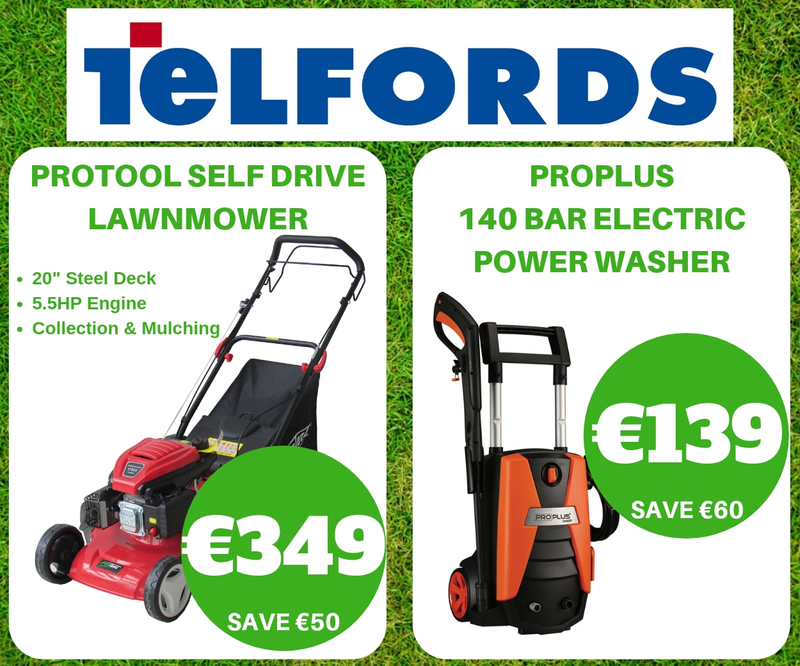 “We need to keep pushing on with the sales too. It is every parent’s nightmare to have hurls thrown around the place so we really are targetting parents. 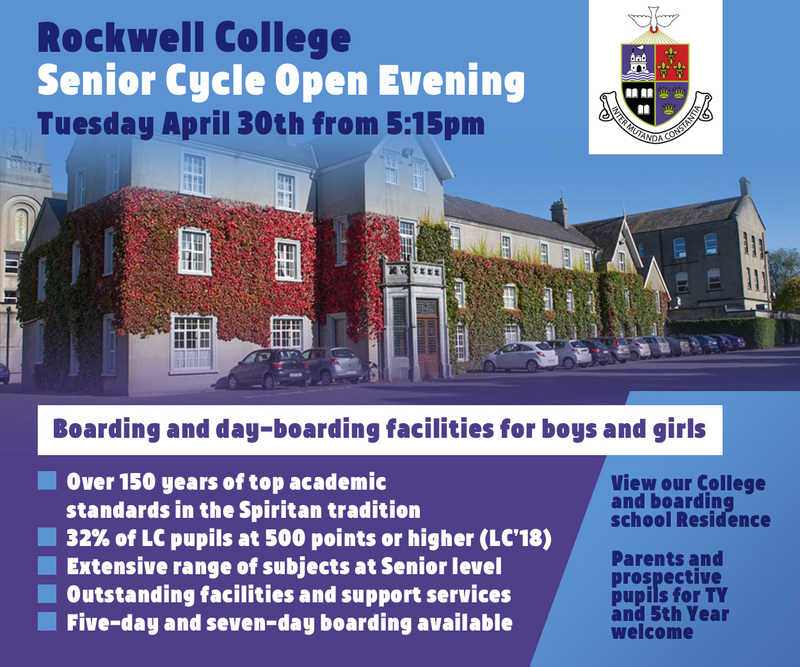 “There is a nursery programme in the sports hall on Friday evening and the lads will be at that for any parents that will be there. 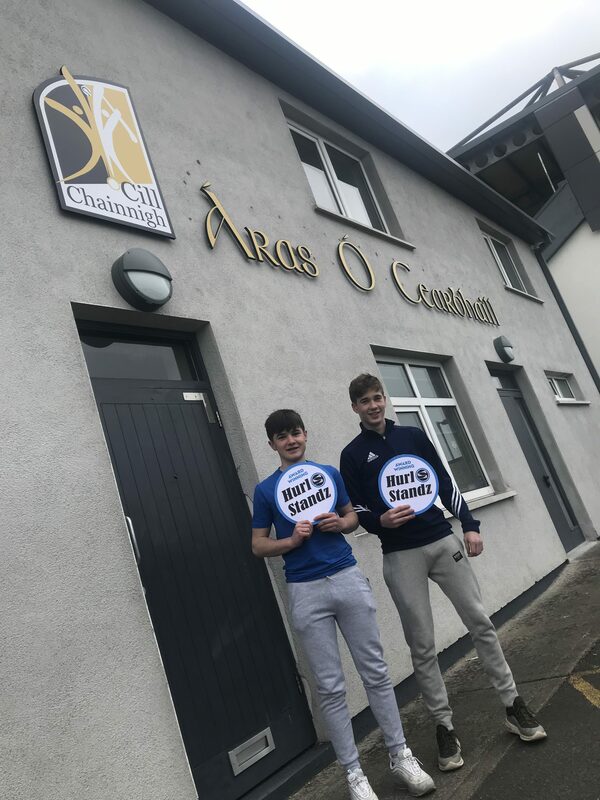 Simon, Marc and Noah are heading to Croke Park on Friday May 3 and Ms Lynch joked that it might be the only All-Ireland title Laois will win for a while. 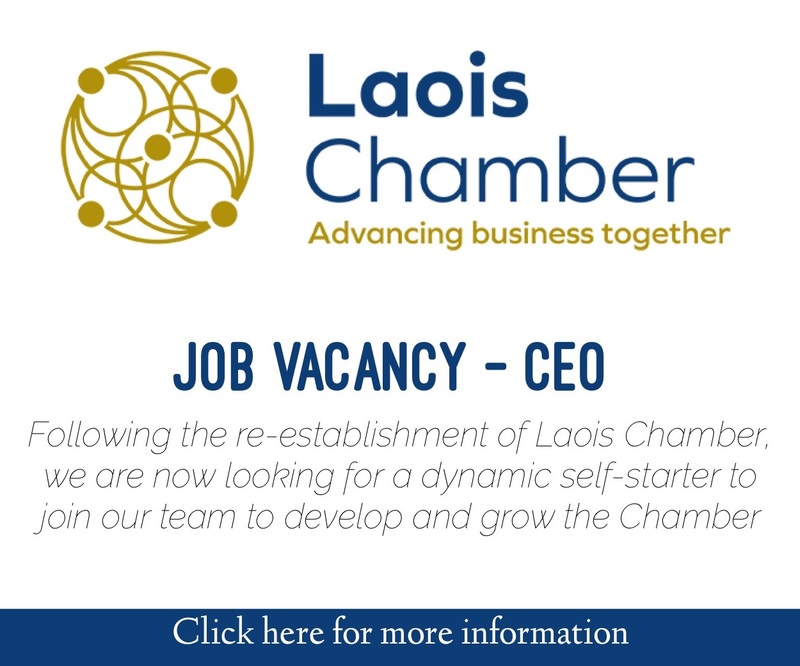 She said: “It might be the only chance that Laois have of winning an All-Ireland title. “The lads have got unreal support so far. Their own club Park-Ratheniska have been brilliant. They are three local lads and their club could not do more for them which is testament to the club itself. “We hope that everyone gets behind them now because the more publicity they get and the more sales they make over the next three weeks – that is what is going to determine the winner at the end of the day.